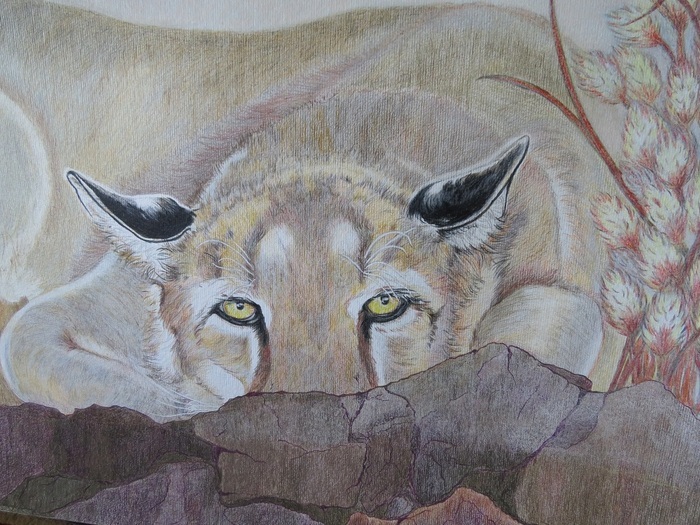 Donna Birtwistle works with water colour pencils. 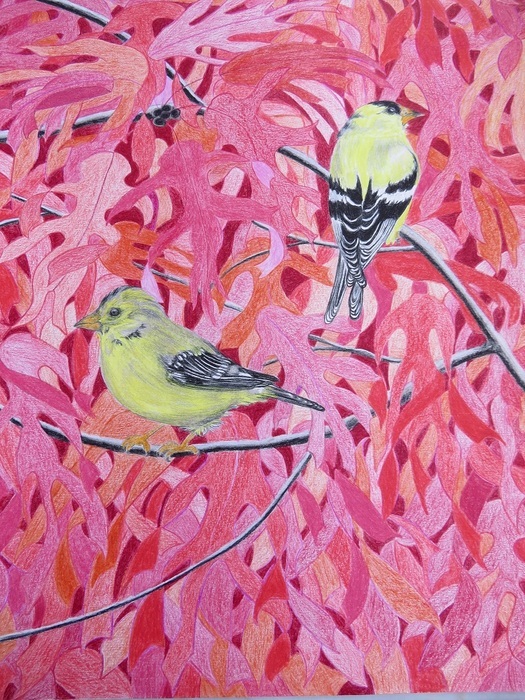 She is focused on flowers, birds and animals. 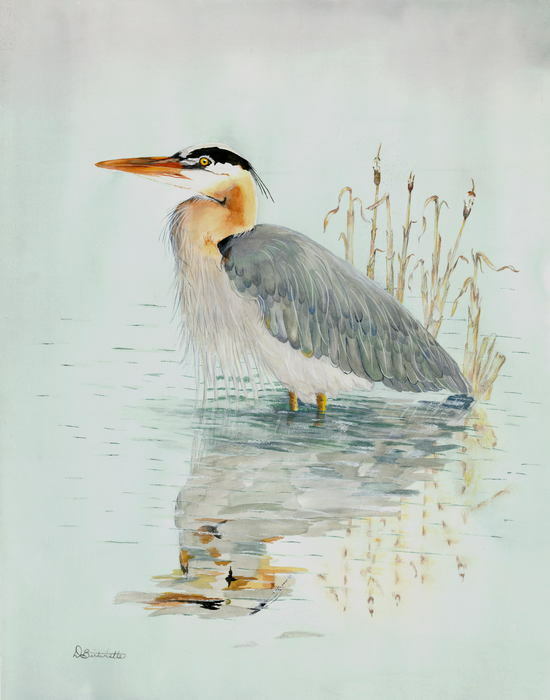 Her Mill Bay home is the perfect location for viewing sea birds & life near the ocean. Her art is showing in Canada, Portugal, Brazil, and Australia. One Beautiful sunny day I was kayaking in Mill Bay down pass the public beach. The tide was out and very low. The Navigation Marker was surrounded by many small rock Islands. There were 50 or more seals sunning on these exposed rocks. After about an hour floating around very quietly, the seals were quite relaxed but still watching me. I took many pictures of various seal poses. This picture of the seals in their natural setting seemed so relaxed. 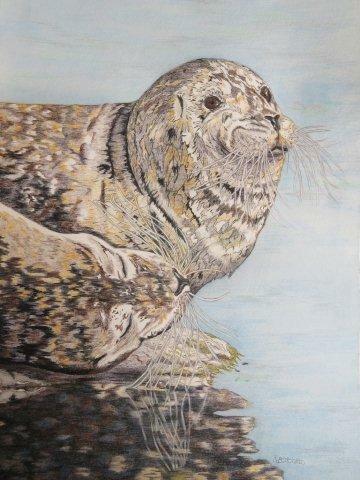 The textures of the fur, wet and dry, combined with the detail in the reflection showing even the whiskers emphasized the calm of the ocean and the seals. I had to paint it.